Quiz Maker Software | Best Test Maker For Teachers Free - Exam Testing, Inc. 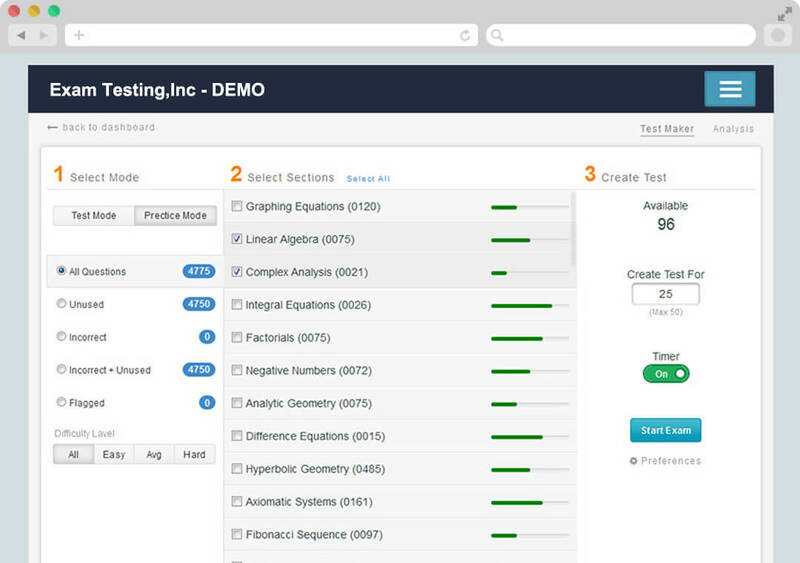 Ideal for exam administrators and students, the Test Maker software can be used to create professional quizzes. Students can use this quiz maker software to strengthen their mental capacity by utilizing the tutor or test mode features as well as through the generated performance report. They can also determine the number of questions, subject matter, and difficulty level of the quiz.